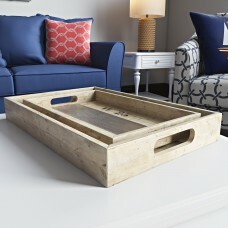 FeaturesDesignServing TrayShapeOvalMaterialSolid WoodFinishwoodFood SafeNoCountry of OriginChinaLaur..
FeaturesDesignServing TrayDishwasher SafeYesShapeRoundMaterialMelamineFinishBlueFood SafeYesOutdoor .. 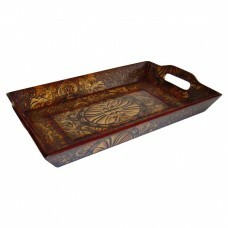 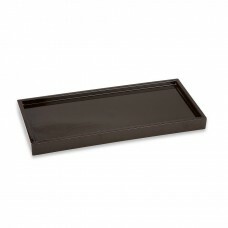 Serve in style with their sleek wood tray. 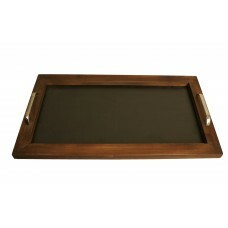 This smart tray features a wooden trim with inset chalkbo.. 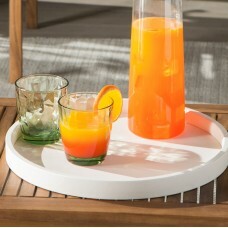 This Bernadine Serving Tray is a simple and elegant tray with cutout handles eliminating all unwante..
Mango wood trays feature a polished, hammered aluminum lip. 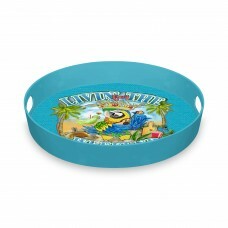 They are perfect for serving food and en.. 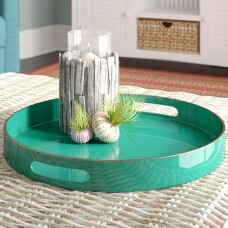 The stylish Round Serving Tray is the perfect entertaining accessory. 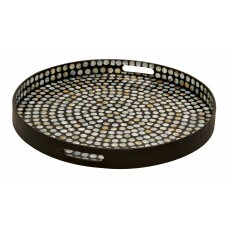 It is made premium quality mat..
Modern button round wood-finish MDF tray with concentric circles of small, flat multi-color mother o..
From organizing free-floating accents into a cohesive display to playing with shape and texture, a w..
Made of high quality lacquered resin, the Seville collection features clean lines and a contemporary.. 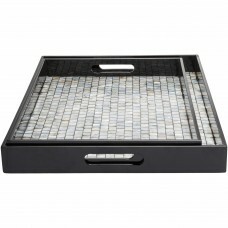 Featuring a slatted design and nautical accents, this lovely tray set adds a touch of beach-chic sty.. 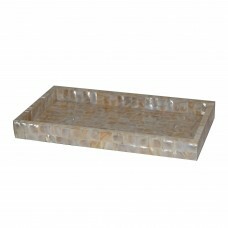 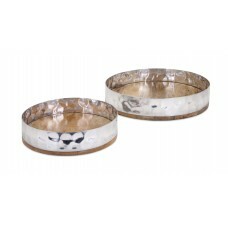 The sleek mother of pearl tray adds a wonderful elegant touch to today's bathroom decor. 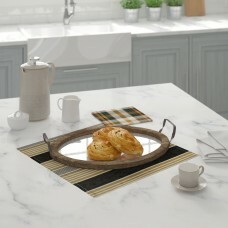 It is made .. 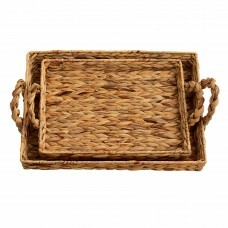 This Woven Water Hyacinth 2 Piece Accent Tray Set features dimensional side handles and nest for sto..
Pairing an understated silhouette with global-inspired style, this sleek wood serving tray brings fu.. 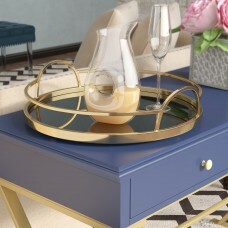 Featuring mother of pearl inlay, the collection brings style to your decorative accents.FeaturesDesi..
Raise the bar, with this collection. 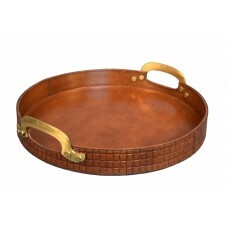 These sophisticated bar essentials, hand finished and made with..